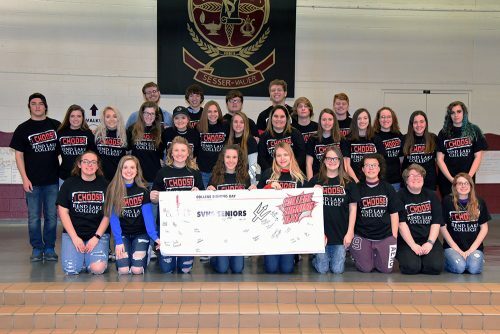 Twenty-eight seniors at Sesser-Valier High School officially became Rend Lake College students this week during College Signing Days. The students took their first steps into life after high school by meeting with an RLC Academic Adviser to enroll in summer and fall courses. Registration for Summer and Fall 2018 classes at RLC is going on now. Classes start the week of June 4-8 for the summer semester and during the week of August 20-24 for the fall semester. Contact RLC’s Academic Advisement Center at 618-437-5321, Ext. 1266 to schedule an appointment for summer or fall registration. SESSER- There was a critter running loose tonight on Franklin Street in Sesser around 10:00 p.m. tonight. 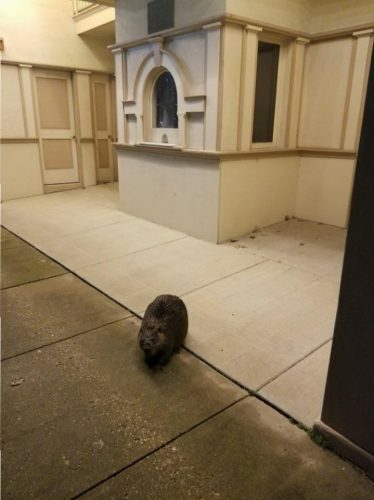 There was a large beaver that was captured in front of the Opera House by Renee Hicks, John and Crystal Uranski, Police Chief Ryan White. He was probably ran out of his dam by all the recent rain. He could have been trying to get to the parade to cheer on the scholar bowl team, or he was wanting to see a show. There was no harm done. This reminded me when an eight point buck jumped through a picture window in town around ten or 15 years ago. With all the school shootings, and some things we are facing in recent times, maybe the Lord sent this beaver to put a smile on our faces. MT. 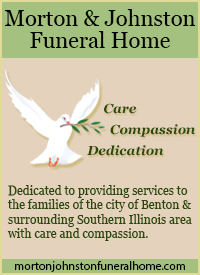 VERNON- A Sesser man passes after he was hit by a semi on Interstate 57, at the 96 mile marker northbound, just south of the 57/64 split. This happened last night (Sunday) around 7:45 p.m. Jefferson County Fire Protection District as well as Mt. Vernon Fire Department responded to the scene. According to Illinois State Police District 13, David Grayton 50, of Sesser was standing in the middle of three lanes of traffic. 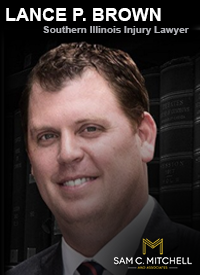 He was struck by, Christopher Stratton, form a unknown location in Kentucky. He was unable to stop for hitting the victim. Grayton was pronounced dead at the scene. Prayers go out to Mr. Grayton’s family, the semi driver, and the EMS people that responded last night. 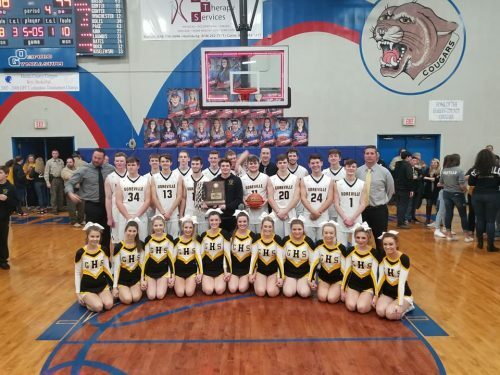 ELIZABETHTOWN – The Sesser-Valier Red Devils fall short to the Goreville Blackcats, 48-44 in the sectional final game at Hardin County last night. Preston Launius led the Devils with 17 points last night, Tyler Winchester added 13, and Lukas Gunter added seven. Braden Webb led the way for the Blackcats with 13 points, Tanner Dunn added 11, and, Cole Tosh added nine. Goreville is in uncharted territory for their program. They advance to the Elite Eight facing Mowequa Central A & M in the Class 1A Super Sectional at the SIU arena. They were 69-56 winners over Nokoms last night, on A & M’s home floor. Two teams in the Sweet 16 (it will never be Super 16 in my book) shows the strength of the BDC West. Christopher and Chester playing in regional championship games, speaks volumes how tough this conference is night in and night out. INA, Ill. – The Rend Lake College Foundation’s mission is to represent a partnership between public and private interests for the benefit of Rend Lake College students. 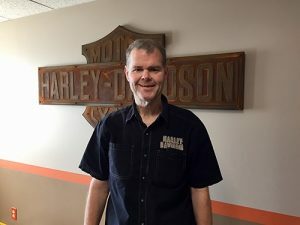 Newest among those guiding that mission is Rodney Cabaness co-owner of two local Harley-Davidson dealerships and 2016 RLCF Alumnus of the Year. Comprised of community members, business leaders and philanthropists, the Board of Directors has helped guide the RLCF in providing unparalleled student success though their scholarship endeavors and provided the college with vital resources for maintaining the national-recognized service its students have come to expect. “Rodney’s business acumen, coupled with his deep connections to Rend Lake College and his passion for helping others will be a tremendous asset to the Foundation Board of Directors. We have entered a new time where private support is becoming crucial to the sustainability of community colleges,” said RLCF Chief Executive Officer Kay Zibby-Damron. Cabaness, a Sesser native, started Black Diamond in 2007 with his business partner, co-owner and fellow RLC alum Shad Zimbro. Together, the pair built a company devoted to their community, stocking food pantries, fillings children’s backpacks and providing numerous scholarships. Given the good works that Cabaness was already known for and the ties to his alma mater, he made a natural fit for the RLCF Board of Directors. Every year 12 area youth are able to attend Rend Lake College because of Black Diamond’s generosity. Cabaness is excited to bring Black Diamond trademark care for the community to Mt. Vernon with the recent acquisition of Roadhouse Harley Davidson. “When attending and graduating from Rend Lake College in 1990, I didn’t realize how crucial that time in my life was going to be to my success,” Cabaness expressed. To date, Black Diamond Harley-Davidson has sold almost 12,000 motorcycles and regularly ranks near the top of all 700 Harley-Davidson dealerships in the nation. They have sold a motorcycle in almost all 50 states and have received numerous awards and recognitions for their community-first approach. 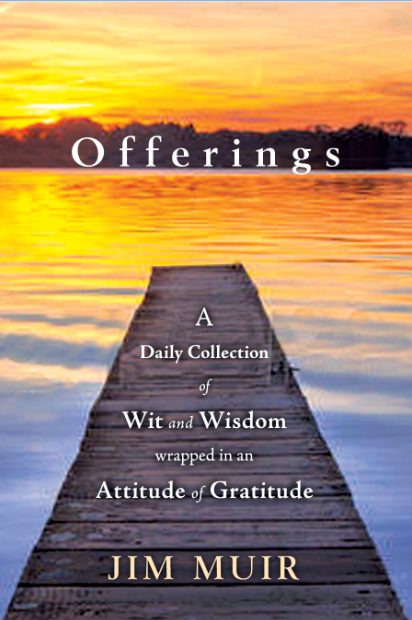 “We are just constantly trying to share our appreciation of what the community has done for us. We just received so much support. We have a commodity. We sell a lot of different things. But, I really feel like we offer a lifestyle. So, we try to create those relationships with people. We never had any idea how much support we would receive. We knew the area would be good to us, but we never dreamed it would be the meteoric rise that ended up happening. We were basically flying by the seat of our pants for the first few years just trying to figure it out as we went. We never expected the growth. We just set out to make it always about the people that walked through our door,” Cabaness said in his Alumnus of the Year speech. For their part, the RLCF is always seeking dedicated individuals willing to invest in the individual growth of the many students who attend the college by investing in campus and community growth and economic development. Last year alone, the RLCF handed out 255 scholarships worth $200,000 to help students see their dreams turn into reality. Anyone interested in giving to the RLCF to assist in student success or students seeking scholarship opportunities to Rend Lake College can visit https://www.rlc.edu/foundation or call (618) 437-5321 Ext. 1214 for more information. ELIZABETHTOWN – I just spoke with the Hardin County Sheriff’s office, and Route 1 is still closed in places between Junction and Cave in Rock. IDOT is not showing it on their website at this time. 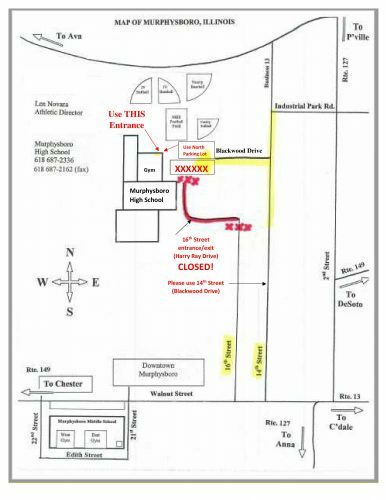 ATTENTION: ALL vehicles must be parked in the north end of the parking lot (next to the softball field on the right as you pull in) starting Monday (2/26). Use the north gym doors for entry into building. This will last for the remainder of the Tournament. 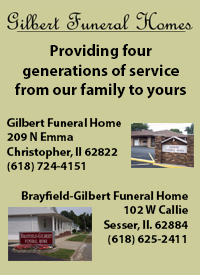 ZEIGLER – I just spoke with Zeigler-Royalton Athletic Director Jeremy May, and 90 general admission tickets remain for the championship game between Sesser-Valier and Woodlawn. The school will set up cameras where the game can be streamed inside the school when the gym reaches full capacity. The doors will open at 4:45 p.m. with the Country Financial Three Point Showdown starting at 5:00 p.m.
INA – Over 150 students from 10 area high schools competed in the 2018 Worldwide Youth in Science and Engineering (WYSE) Academic Challenge Regional in the last two weeks. Eight of the schools met on Rend Lake College’s campus on Wednesday, Feb. 7 to participate; however, due to weather, two other schools held make-up events on later dates. During the WYSE Academic Challenge, schools with similar enrollment compete against one another in divisions. 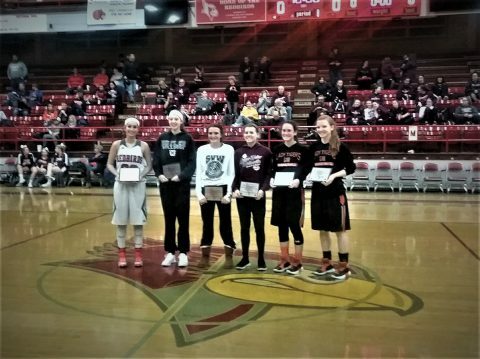 Christopher High School, Wayne City High School, Zeigler-Royalton High School, Sesser-Valier High School, Waltonville High School, and Webber Township High School make up Division 300. Division 700 consists of Benton Consolidated High School, Pinckneyville Community High School, and Hamilton County Senior High School. The lone Division 1500 school is Mt. Vernon Township High School. Each student who competes in the WYSE Academic Challenge completes two exams in pre-selected subjects. They can choose from biology, chemistry, computer science, engineering graphics, English, math, or physics. Below are the regional results, followed by team photos. Students who qualify for the WYSE Sectional will compete at Southern Illinois University Carbondale on Wednesday, March 14. The Illinois State Finals will be held April 16-19 at the I-Hotel and Conference Center in Champaign.